It was a big day for Apple! May 26, 2010: In a massive milestone, Apple passes Microsoft to become the world’s most valuable technology company. The changing of the guard proves particularly amazing given that, just 15 years earlier, Apple looked close to dead, while Microsoft dominated the tech world thanks to Windows. Microsoft and Apple enjoyed one of the most fascinating (and, at times, infuriating) tech rivalries of the 1980s and 90s. Steve Jobs and Bill Gates were both the same age, born in 1955. That made comparing their respective successes and failures interesting — particularly since their winning periods rarely coincided. Microsoft first made a name for itself working as a Mac developer. When Jobs was booted out of Apple in 1985, then-Apple CEO John Sculley tried to secure future great software for the Mac by signing a deal with Gates to give Microsoft “non-exclusive, worldwide, royalty-free, perpetual, nontransferable license to use [parts of the Mac technology] in present and future software programs” in exchange for Microsoft continuing to develop for Apple. While Macs ran circles around Wintel PCs, Windows machines cost less and ultimately became far more widely available. Although Apple was, at one time, a much more profitable company than Microsoft by the mid-1990s, Apple was faltering thanks to disastrous decisions like “clone Macs.” Microsoft, on the other hand, rose to dominate the industry following Windows 95. When Jobs returned to the failing Apple, an injection of cash from Microsoft helped to save his company from bankruptcy. The tables turned in the late 1990s. 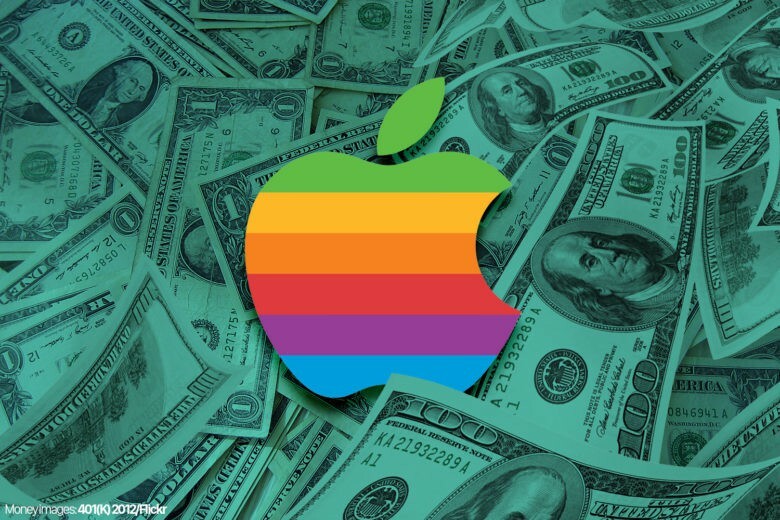 Starting in January 1998, Apple became profitable again. Meanwhile, Microsoft found itself the target of a long-running antirust case. On December 30, 1999, Microsoft hit the height of its 1990s dominance, with an all-time share price high of $53.60. Less than a year later, its stock price fell more than 60 percent in value to $20. Apple, on the other hand, continued to climb. Cupertino reinvented itself as a consumer tech company that happened to build computers. With the success of the iPod, iPhone and iTunes Music Store, by 2010 Apple generated twice as much revenue from mobile devices and music as from Macs. Overall, personal computers still moved more units than smartphones. But by 2010, smartphone sales were growing at five times the pace of computers. In May 2010, the only U.S. company higher valued than Apple was Exxon Mobil, with a market capitalization of $278.64 billion. In 2018, Apple is well on its way to a $1 trillion market cap. Color us (even more) impressed! What are your main memories of the Apple vs. Microsoft conflict? Leave your comments below.